Brian Johnson has been leading worship since he was 17. He is the co-writer of some of the United States most popular worship songs including One Thing Remains and You Are Good. 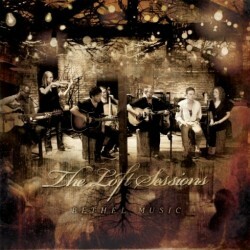 He leads Bethel Church’s worship team and produced the church’s latest acoustic worship project: The Loft Sessions. Brian lives in Redding, California with his wife Jenn and three children. He is the son of popular author and church leader, Bill Johnson. 1. What made you record The Loft Sessions as an acoustic project? There’s so many live worship CDs right now and I just took a step back and thought we want to do something that shows the fun, raw, real and passionate elements of our worship. And show that it doesn’t have to be on a massive stage with lights. It’s not like it hasn’t been done before, but for us we were excited to do something different. 2. There’s a great acoustic vibe to the record. How would you describe the sound? 3. One of the songs, “Angels” is quite unusual in terms of the lyrics. Are you asking angels to join in worship, or are the lyrics symbolic of something else? I wrote the majority of that melody in England several years ago when we were worshipping in a cathedral. It was a spontaneous song that came right in the middle of worship. We had a sense that this angelic atmosphere was thick, so I started singing that out. It’s an invitation, because we join with heaven’s song and the angelic singing as one. I’m a firm believer that God assigns angels for different reasons and a lot of times we forget about that. We don’t think about angels very much, so it’s an eye opener and expression of calling the watchman angels on the walls to come and sing with us, worship with us and declare who our God is. 4. My Dear sounds like it could be sung on mainstream radio. Do you ever think about your songs going beyond the church? The radio thing has been a little vague to us. In America it seems like there’s 10 Christian bands they play on the radio and they all have a similar sound. So we don’t ever think about radio. For where we are out right now, we are thinking for the church. Declaration of faith statements that the church can sing and songs that people can sing on a Sunday. That doesn’t mean we don’t have a heart for the other, it’s just at the moment we’ve been focusing on the live worship CDs. 5. The songs you've written, particuarly for the Be Lifted High album have been picked up by church across the world, that must really encourage you. It is nice to hear that they are being sung. Recently we’ve been informed of people covering the songs. That’s why we write them, so that people can sing them. That should be a goal for worship leaders when they are writing songs. 6. One Thing Remains is one of those songs which has been particularly popular. How did it come about? The chorus: ‘Your love never fails, it never gives up, it never runs out on me’, came to me spontaneously during worship about six years ago. I sat on that chorus, and would put it in different moments but that’s all I had. Then we started collaborating on the song with a couple of different people here then we came up with the bridge and verses. 7. What’s the best Christian book you’ve read? My Dad obviously is an author. His books talk about God’s kingdom on the earth right now. It’s not just a sob story or a comfort story. I would have to say his books, just because what the heart behind them is saying to his church right now as a timely word. 8. 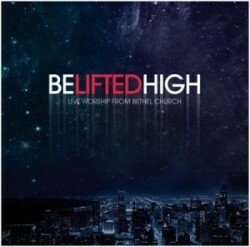 Bethel often pushes boundaries lyrically. Is it fair to say your lyrics are more based on the Bible than they are quotes from scripture? I honestly think that people freak out too much about whether it’s biblical or not. Tennis isn’t in the Bible and we play it. The Bible is pointing to something greater, it’s pointing to this all consuming, all knowing God who wants a passionate response from his people. People get hung up with this whole religious 'is it ok to sing that?' In my opinion it’s where the heart is at. It’s not devaluing the Bible or theology, it’s saying when you’re married to someone, you’d better be passionate about that person. It’s the same with the Lord. If we’re just quoting Bible verses to the Lord but our hearts aren’t in love with him, he’s going to see that. 9. The Senior Associate Pastor at Bethel, Kris Vallotton, recently said the church has a “Research and Development” aspect to it where people are encouraged to do things differently – even if it results in failure. How does this statement apply to worship? We’re not talking about moral failures, we’re encouraging people to fail and take risks in terms of getting our of your comfort zone. Maybe give a word to someone at the store, or if you’re leading worship instead of just singing the songs, stopping and having a chord progression, stepping out saying 'I feel like there’s someone here who is feeling like this', taking a step of faith and trying it. 10. What has God been teaching you lately? Whether or not it’s a good or bad decision, shouldn’t be determined by the outcome. Sometimes you make a good decision, but don’t see the fruit of it. Because we live in such a fast paced society, we want our decisions to be answered and rewarded. God is teaching me to make the right decision, because it’s right. Then it’s God’s job to do what he wants about it. Brian...You and Jenn are two of the most amazing people I have ever had the priveledge of knowing...I love your music and promote it at every event we do. Thank you to you and your family for the worship you bring to the world. It definitely takes me I feel right into the presence of the Father...Blessings Trisha Frost. Wow that's an incredible interview with even more amazing answers! Hats off to you Brian for speaking your heart so clearly and simply WELL. Wow! Love your heart!